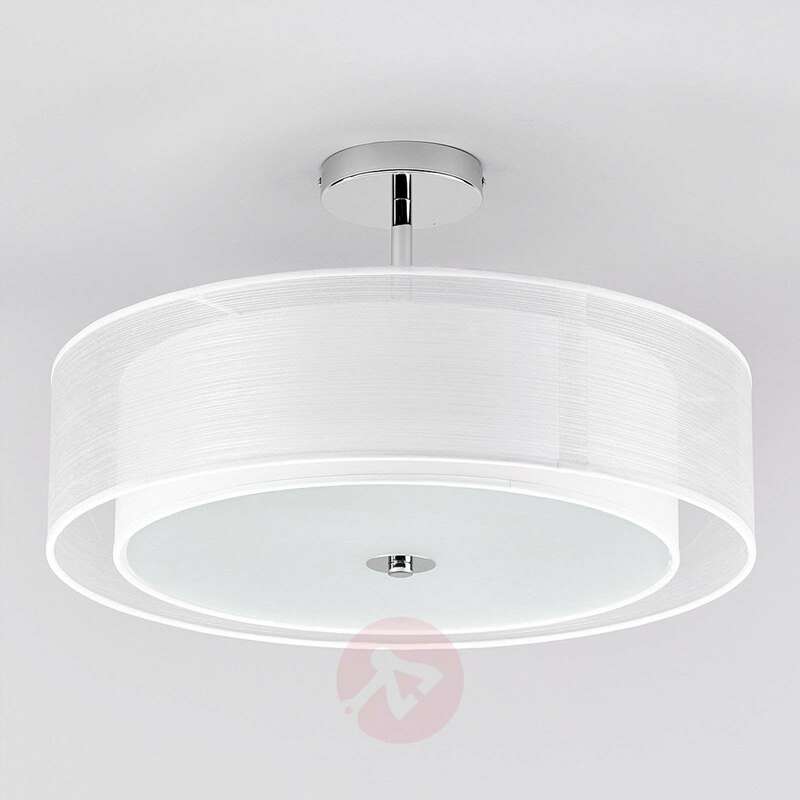 The Pikka fabric ceiling light is operated by E27 LED lamps that are included in the product and keep power consumption at a low level. 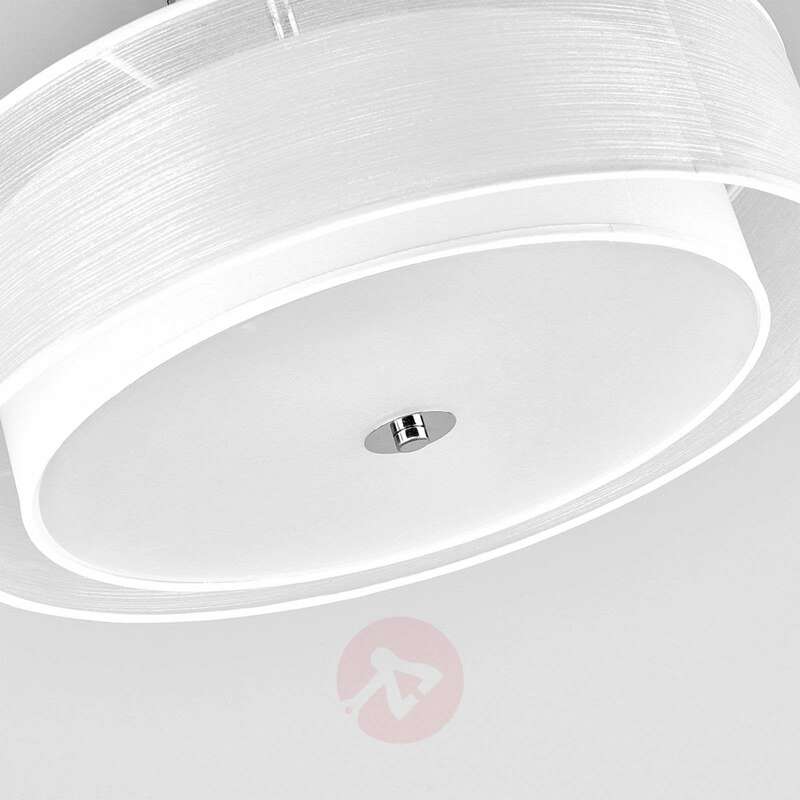 This is why the fabric ceiling light’s lampshade, installed onto the ceiling with a gap, looks so elegant, since it is precisely composed of two lampshades that have been effectively combined into one. 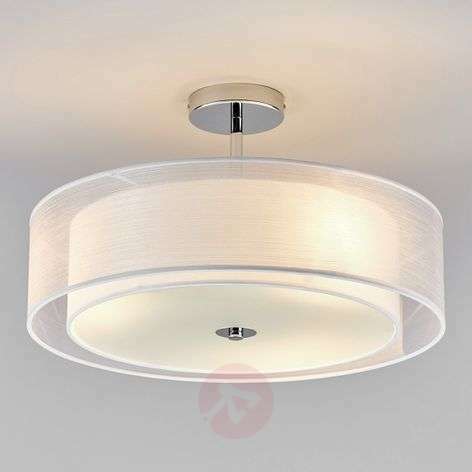 The outer lampshade is transparent and made of organza fabric; the interior is made of firmer fabric. A white glass panel is fixed to the bottom of the inner lampshade, which distributes the light softly to give the room a homely feel. Do you have or will you be having this with a grey lampshade? Kindly note that we do not have the Pika in a grey colour from the same product line however as a possible alternative option, please have a look at item numbers 9621761 and 9621764. 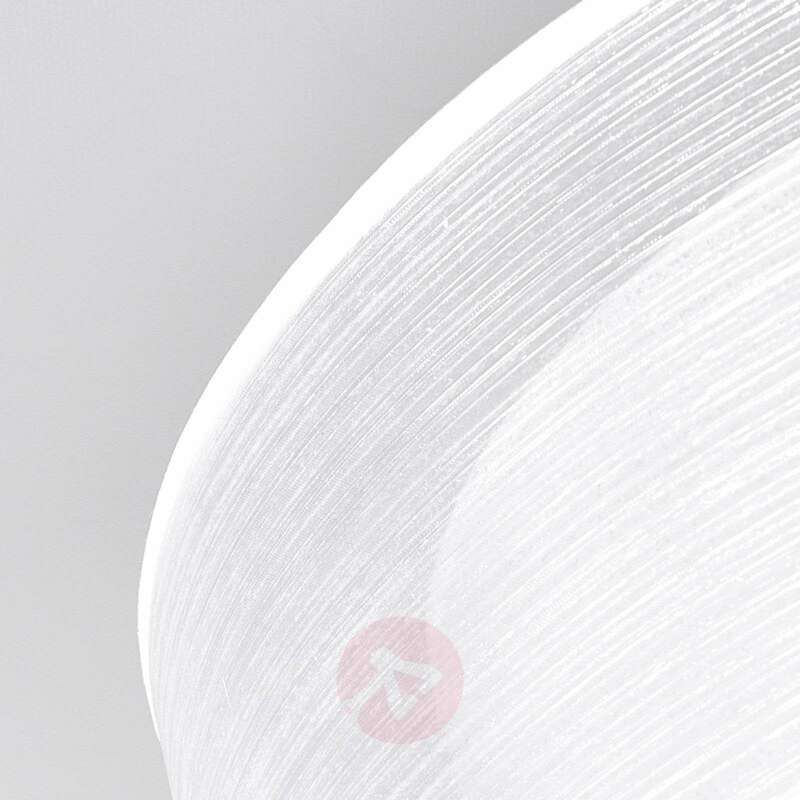 I want to use this Pikka lampshade as a dimmable LED fixture. Can you ship this Pikka White lampshade with 3 x 11 W LED Dimmable bulbs? What is the total cost of the shade with 3 x 11 W LED Dimmable bulbs? Thank you for your query. 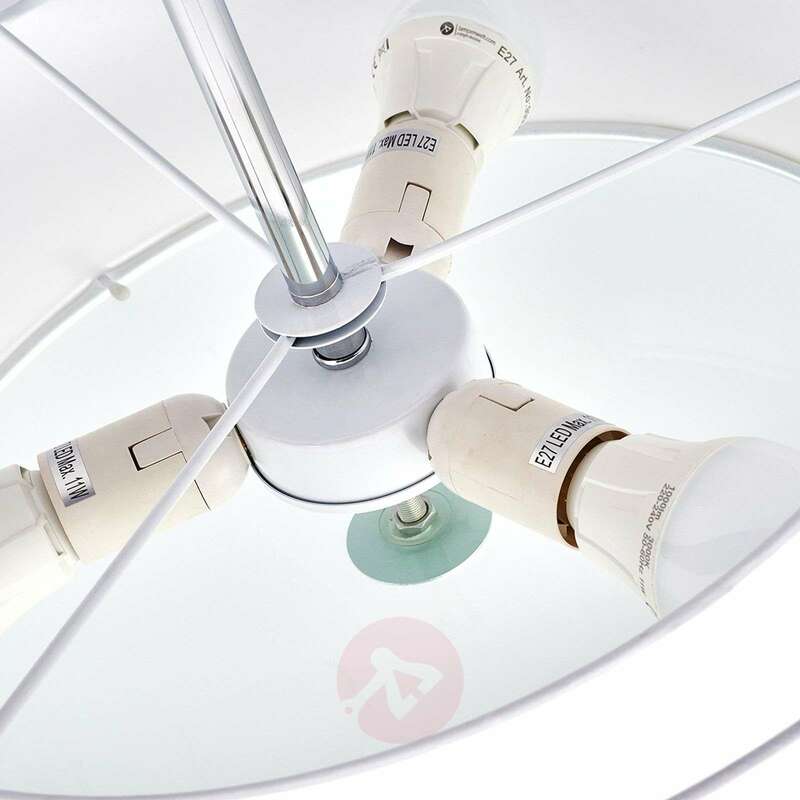 Because prices and availability of items can vary we are unable to give a concrete answer regarding price here, however items 9645001 and 7260747 are both dimmable LED bulbs that are appropriate for this light, so please do have a look at those. You can search for them by simply copying the item number into the search bar at the top of this page. Because the non-dimmable bulbs that this light comes with are already included in the light, we are unable to exchange them for dimmable bulbs. The light itself looks good. But the quality is not good enough. It doesn't form a perfect circle. As a result glass doesn't fit nicely (see photos). It's is also quite hard to balance it horizontally. thank you for your review on our website. Our customer service will be in contact with you. Even better than expected. Was worried about ordering online, as I like to see it first. Delighted within days and beautiful light. 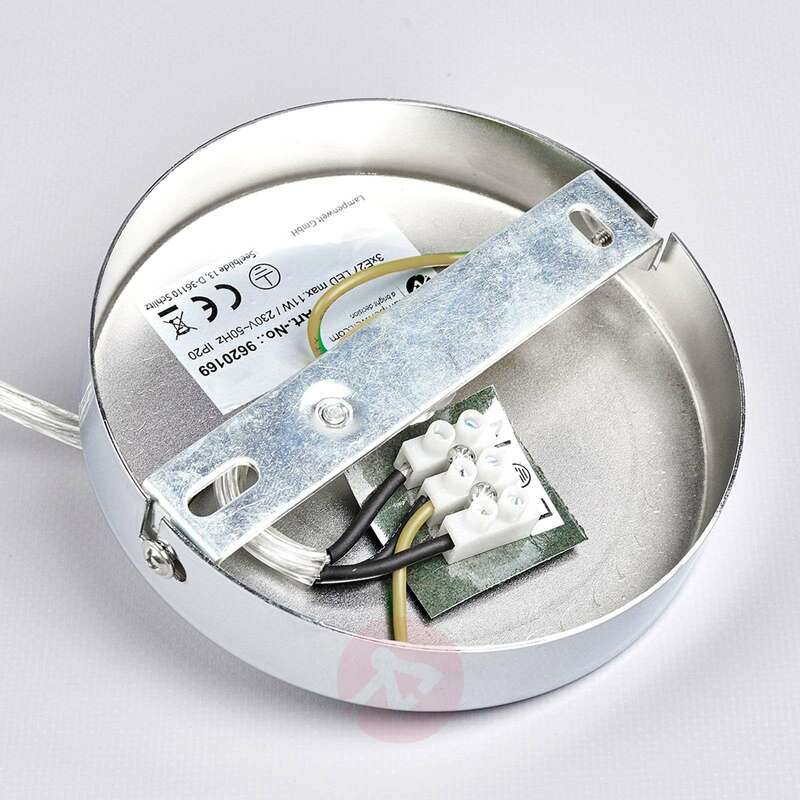 This is very good ceiling light. Fantastic light source and ideal for low ceilings. 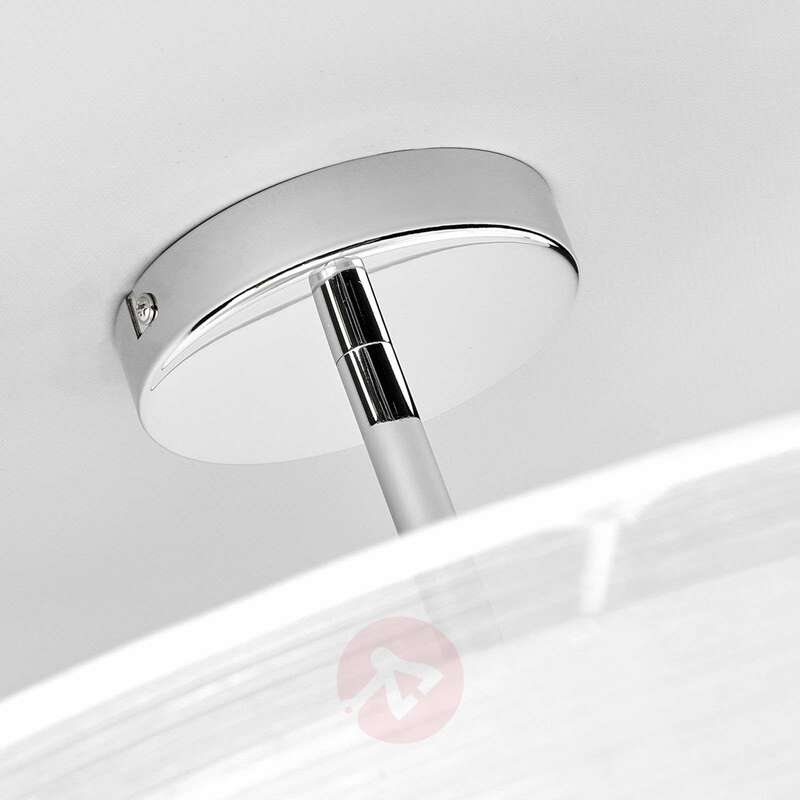 Easy to install and throws a good level of light but the build quality is below average. For instances, the glass diffuser does not sit evenly within the circle of the inner shade. Thank you for your feedback. We're sorry to hear that the light is not up to the standards you expected. Please do feel free to contact us via phone or e-mail for help arranging a free replacement if you'd like.